Open-top variant of the Flashbang Pouch. 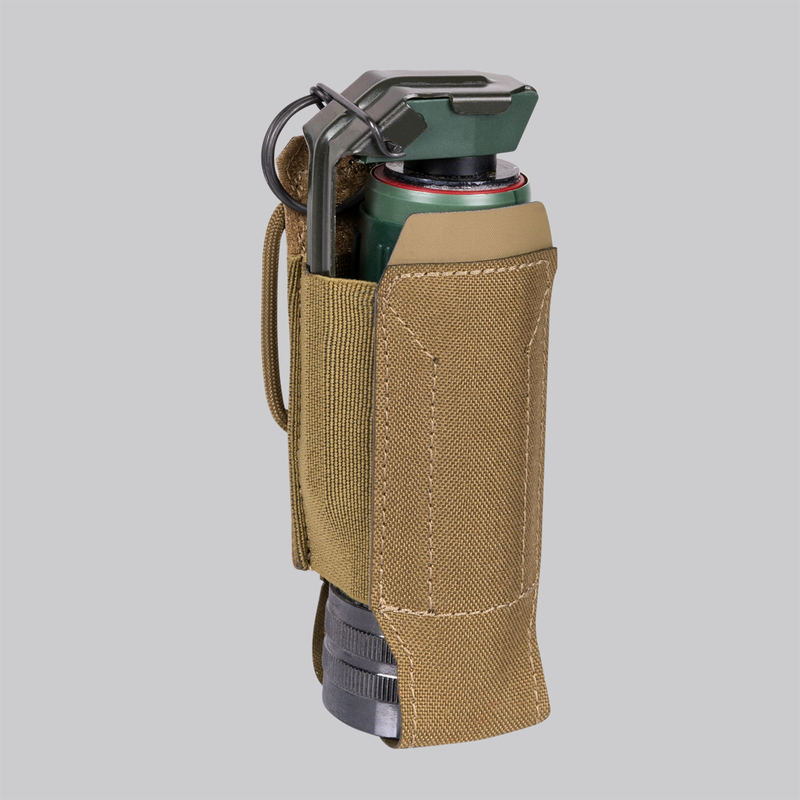 Tighter elastic sides secure the flashbang, while adjustable height allows to fit most popular stun grenades types. Ideal when quick and quiet drawing of a flashbang is required. May also carry 40 mm grenade rounds, including the longer ones, e.g. Illumination flares.